The Gang was last spotted walking down the stairs of the back porch. They seemed to be ecstatic about leaving the (seemingly) stuffy house on a mountain. 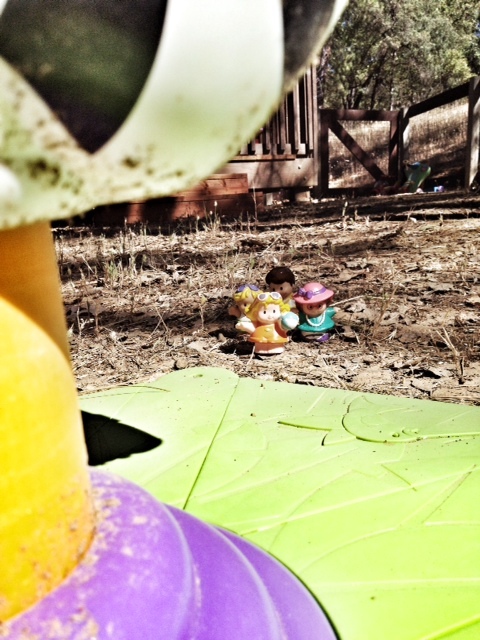 Since that shocking time, they have been found traveling (though quite slow) through the backyard of the stuffy house. Our expert investigators snapped a few pictures, overheard lively conversation, and now have much to report for The Sierra Price Times. 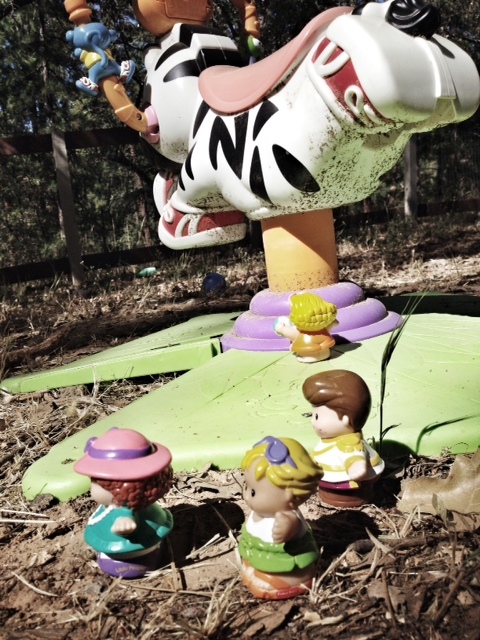 The Gang moved rather swiftly through the backyard, attempting to avoid any and all distractions. They hoped to avoid anything that would make them want to turn around. Lynn and Deanna are the most vocal of the group and were heard prodding the other two along with cheers and chants. Grant followed closely behind, and though the girls seem to think it is because he is scared, he knows the truth. 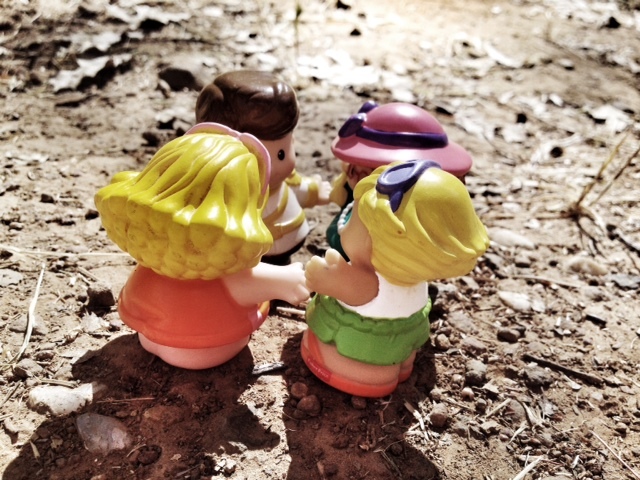 Our investigators heard him mumble underneath his breath, “Silly girls, they need protection. I’ll make sure they are safe.” Those were his exact words. Near the end of the afternoon, they saw a zebra toy. Lynn was very distracted. Her wild heart wanted to attack, and then conquer this unknown plastic beast. She had never seen anything more plastic than her. Lynn started to lead the way straight to the zebra. Deanna is heard discouraging her. Lilly is quiet, but disapproving. Grant rolls his eyes, because girls just get so distracted. Lynn hears none of this and continues to make her way to the bigger-than-her plastic zebra. The three others continue to walk by as Lynn stares up at the massive plastic beast. 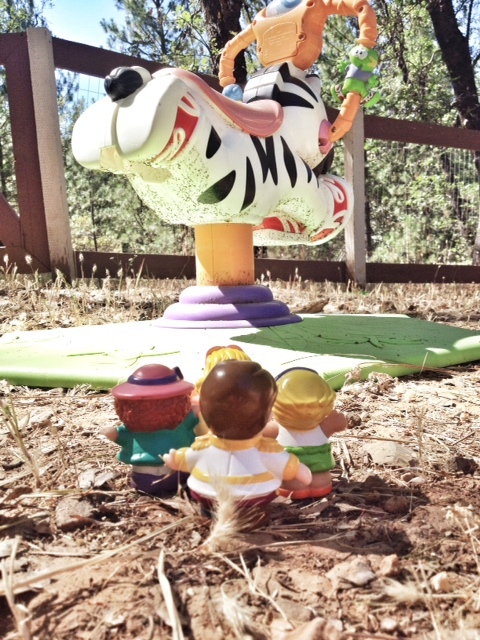 Lynn seems to get tired of staring and finds no way to scale the plastic zebra by herself, and returns to her 3 friends. The Gang waddle on past the zebra and around 4:30 pm they find their first obstacle. The investigators assure the town that there will be many more obstacles, and many ones greater than this large stick found in the pathway of the Gang. The Gang is unsure of how to maneuver the large stick. They have never had to experience or solve a problem so hard. They are just little People, after all. According to statistics, little People are usually under-estimated. And rightly so. They are just little People. The large stick proved difficult for a total of 5 minutes. Then Grant, who kept himself securely in the back of the line, found a way to conquer their very first obstacle. 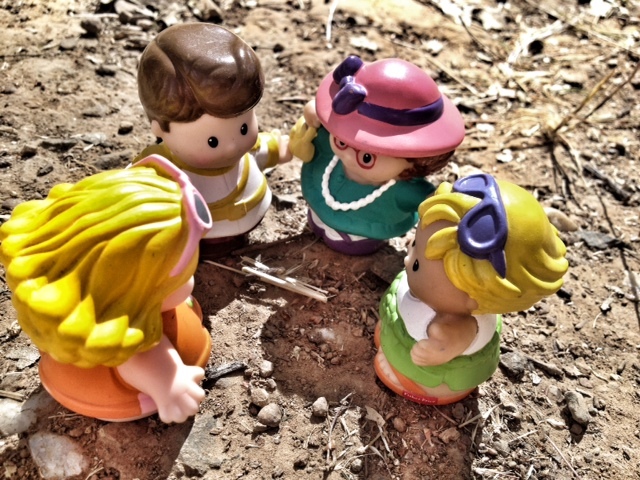 All our investigators heard was a very excited, “Deanna, Lynn, Lilly! Follow me! I’ve got a plan! !” Without hesitation the girls filed behind Grant as he led them around the large stick. Investigators say they are greatly pleased at how well this problem was solved. Once around the stick, the Gang faced a problem greater than they had ever known. The Gate. After several days traveling through the backyard, all 4 looked exhausted and slightly defeated, despite their latest triumph concerning their very first obstacle. 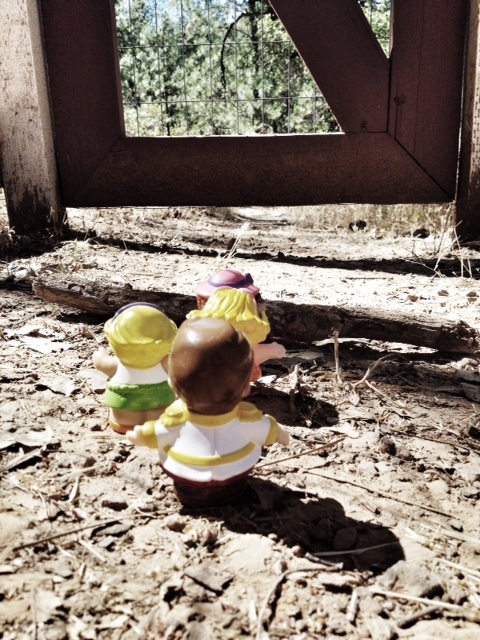 But now, the Gang faced the Gate and this perplexed them very much. 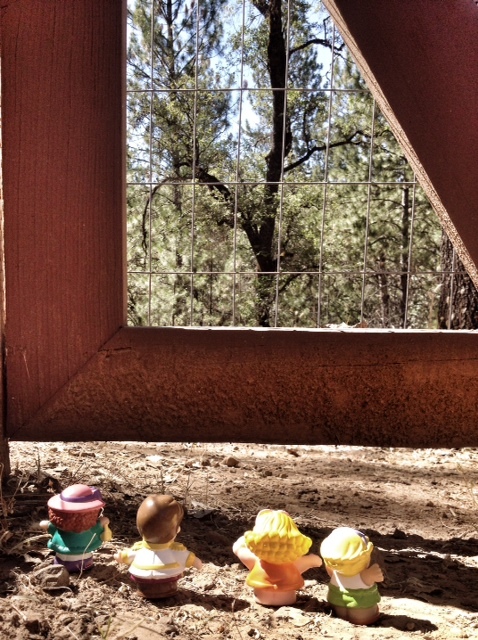 They stared at the Gate in wonder. Amazed that not just a house door hindered the great Adventure, but a Gate as well! They muttered in shock and disbelief. Lynn expressing the most with her face and actions, clearly aghast that so much was keeping them from really living. She was certainly the most upset, which also made her the most determined to beat this obstacle. Quiet Lilly saw the way out almost as soon as they had seen the Gate. The Gate was large, yes. The Gate was massive and confusing, yes. But it was made for big People. It was meant to keep big People out, and it did. But little People…little People had a way of imagining and squirming their way out of things that big People usually trapped themselves in. Lilly was heard saying, “Guys! We can just travel beneath the Gate. We are small enough. We can make it! Let’s go underneath it.” And Lilly led the way. 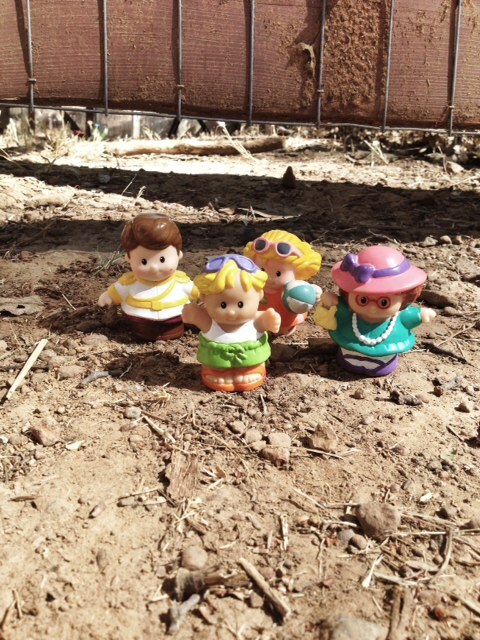 Once the Gang fully escaped the stuffy house on a mountain, they turned around to look back one last time. 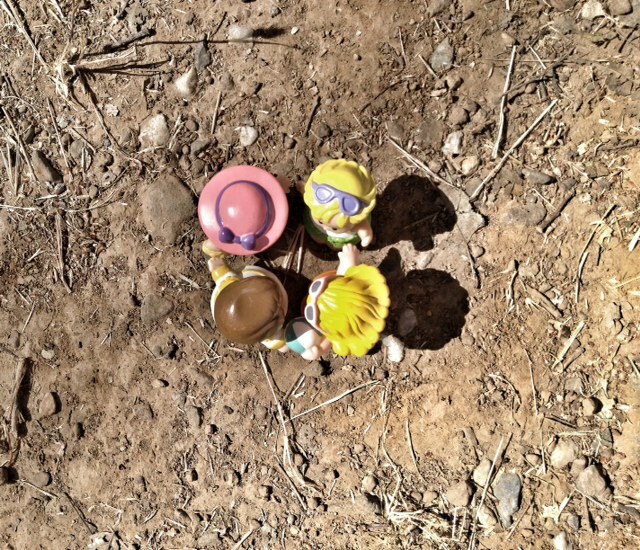 Maybe a little sadness was in their hearts, maybe mostly excitement.The investigators can only discover so much about these little People. They stood in a circle tightly together. 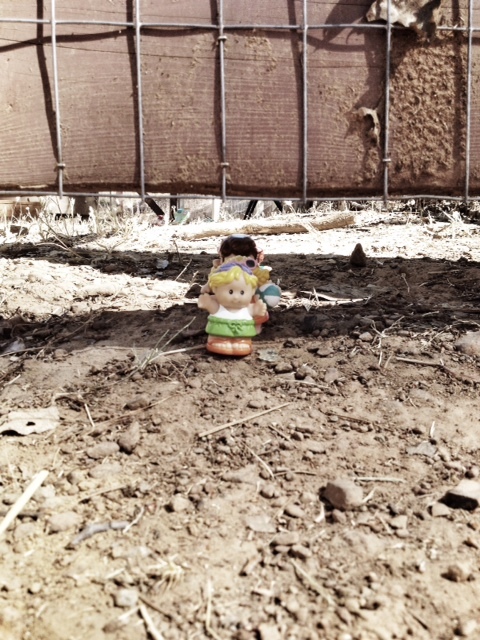 The investigators in the bushes around the backyard listened closely to the conversation. These words were heard by Deanna. Grant and Lilly, the masterminds, and the ones who solved the puzzle pieces to get out of the backyard, nod their heads and smile. Though much has been reported, the reporters are still uncertain of every conversation or comment made among the 4 friends. The Gang seems to be in good health despite the many days of traveling that have already occurred. Each of them seem to be in high spirits and the strength of the team only grows stronger. It is hard to tell whether Lady Grey is happy or sad at this news. She has provided no comment for the press. The Sierra Price Times is sure to have further news of these brave little People in a few short days. For now, the Gang is left to wander and explore as our investigators keep a close eye on each of them. It is astonishing to discover that these 4 have already problem-solved and accomplished more than most little People do in a lifetime. It seems to show that even if you are a little Person, you can do the unexpected. And it seems to say that with the right friends, a group of little People can do great things together. The Gang seems to be defying statistics. Don’t miss previous installments of The Sierra Price Times!